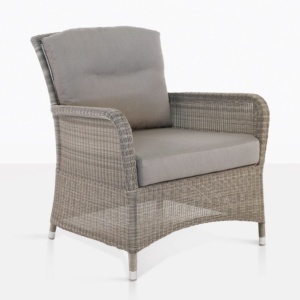 This fantastic relaxing chair is a perfect combination of contemporary design and resplendent comfort. The Sophia Relaxing Chair is a synthetic outdoor weave made by Ecolene®, wrapped on top of a sturdy but still lightweight frame made with galvanized steel. 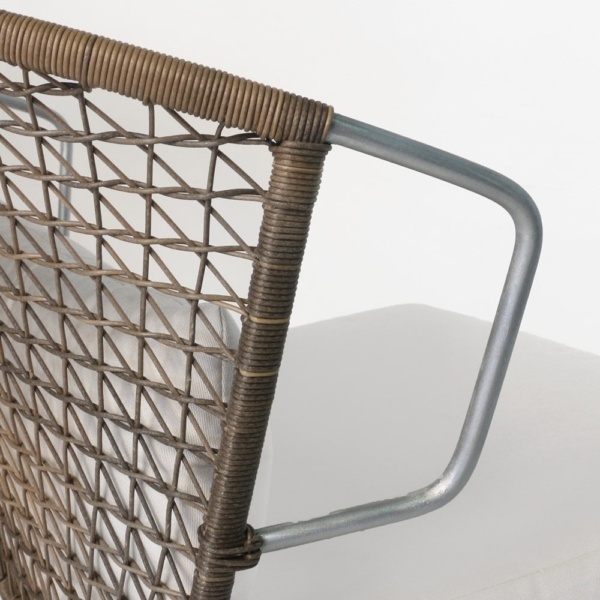 The silvery finish of the galvanized steel frame offers a perfect complement to the earth-toned “sampulut” colour of the Ecolene® weave. 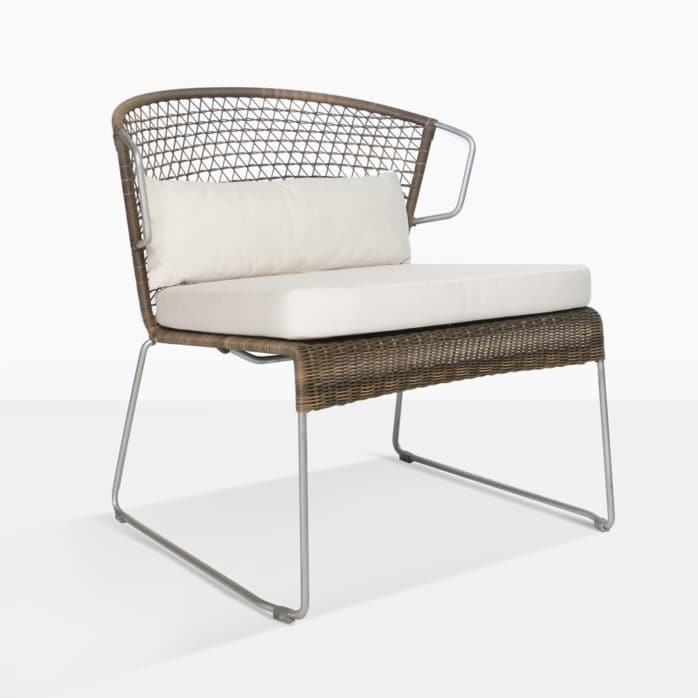 The organic feel of the chair is due to the curves on the back and arms and the smooth transitions throughout the piece. 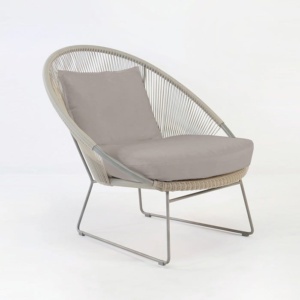 It is a gorgeous, functional and stylish outdoor relaxing chair, made to last a long time. 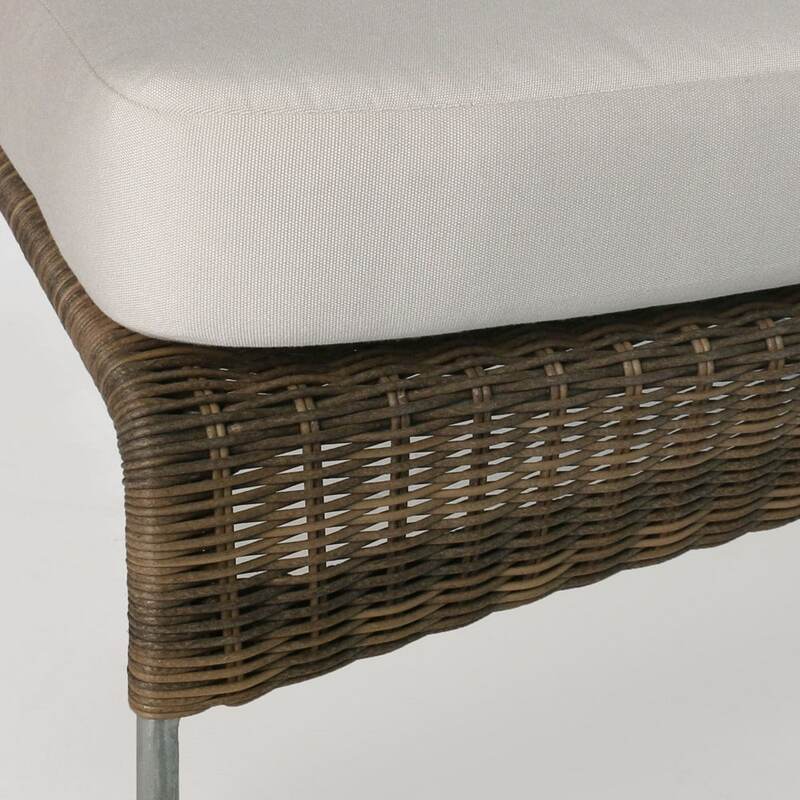 A set of comfortable Sunbrella® cushions is included to ensure you can relax the day away and maintain the level of comfort you desire.